I’m a huge fan of patterns and prints. I love geometric, Islamic-art inspired patterns – their complexity is beautiful when you consider they are borne simply of basic shapes calculated to fit into and around each other for a breathtaking final look. 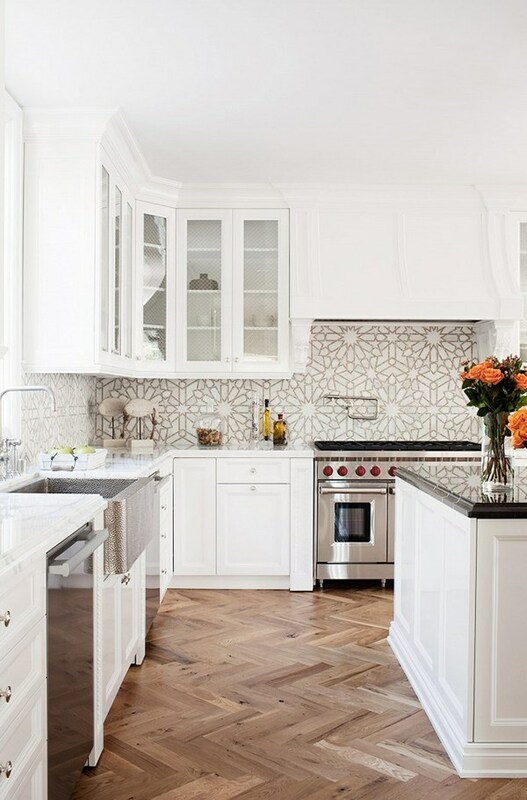 I also love the quatrefoil or Moroccan tile pattern that keeps popping up in my Pinterest feed – most recently in beautiful kitchens. As far as modern prints go, the fabulous Martinique palm print, created by Don Loper for the Beverly Hills Hotel in 1952, is a constant source of inspiration and joy for me. 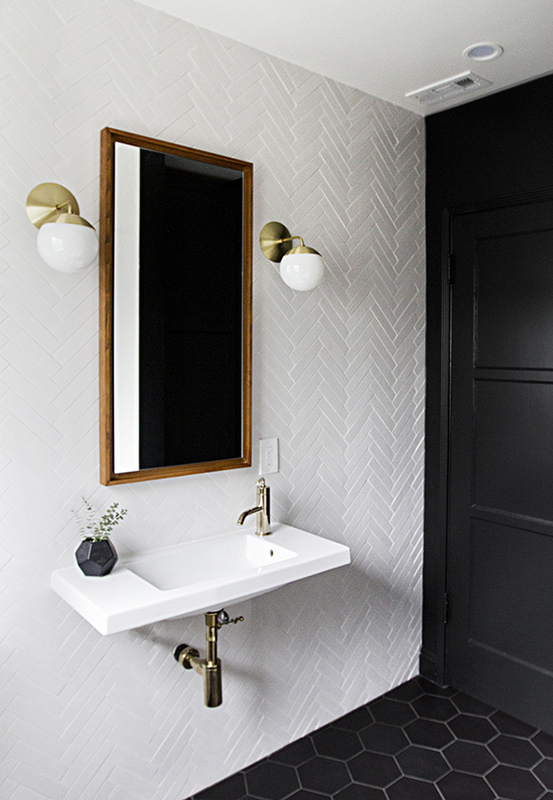 If I had to choose just one favorite pattern thought, it would be the iconic herringbone. Personally, I consider it the grande dame of patterns- timeless, quietly elegant and extremely sophisticated- the classic bigger sister to the popular chevron. The key difference between the two being that while the herringbone pattern interlocks, chevrons are laid out vertically, like uniform tree branches extending evenly on either side of a single trunk. 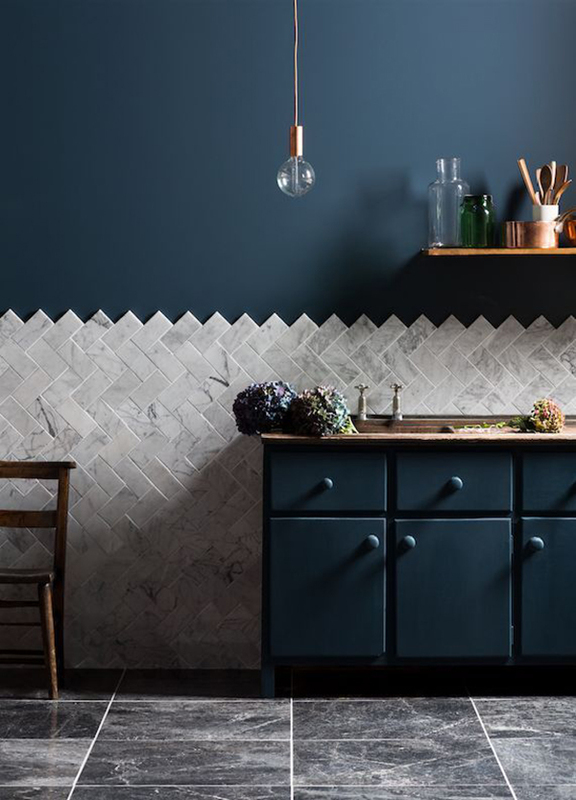 Did you know the herringbone pattern dates back to the Egyptian empire where it is found in textiles and jewellery, and then after that, to the Romans who used it to create roads? It’s remarkable how much history is encompassed in a simple design! The Romans called it Opus spicatum or “spiked word”; in English, we refer to it as the herringbone pattern because it resembles the skeleton of the Atlantic herring. So fascinating! (Source: Will Belcher of The Olin Studio.) These days, you can see the herringbone pattern everywhere. From simple tiled walkways and patios to grand hardwood floors, textiles and decorative accessories. 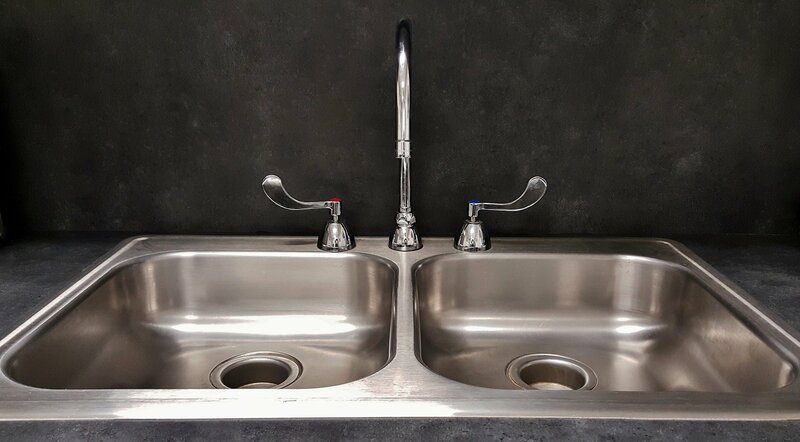 It’s classic and contemporary all at once. 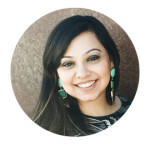 Today, I wanted to show you some ways you can incorporate this classic geometric pattern into your own home. Let’s get started! 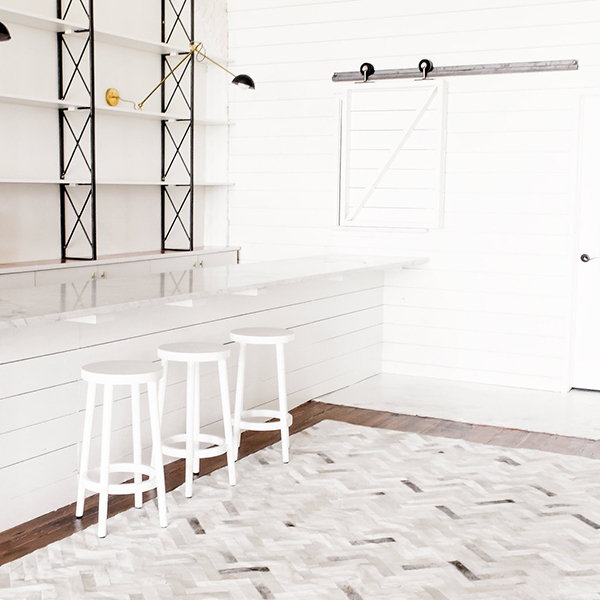 For starters, I love the look of herringbone floors. 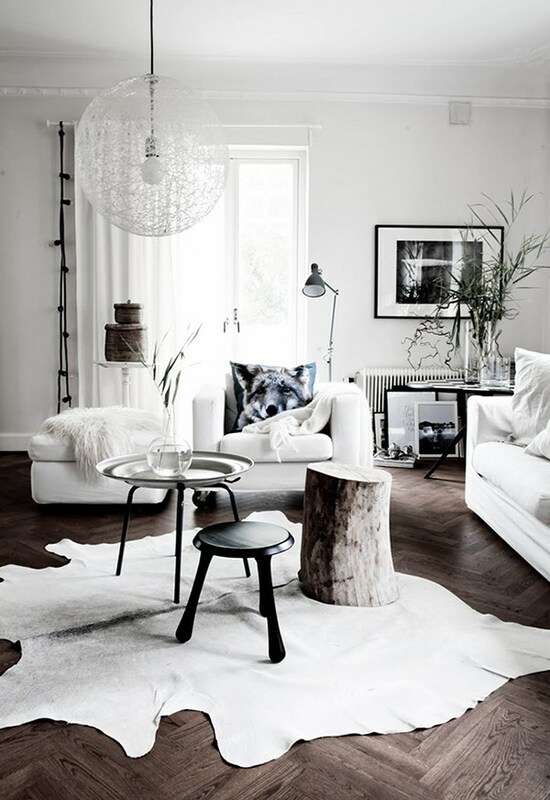 My Inspiring Interiors board on Pinterest is full of chic rooms showing off the look. 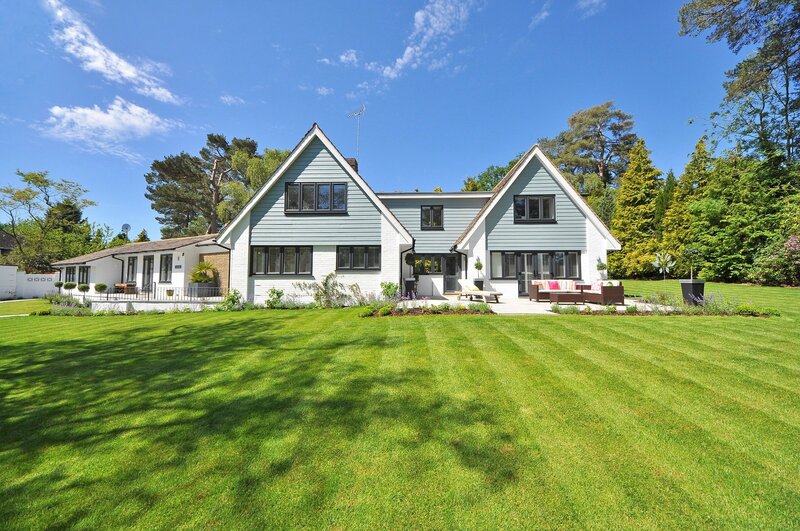 Generally, short planks will create more of a focal point around the floor whereas longer, wider planks will make it look more open, airy and modern. 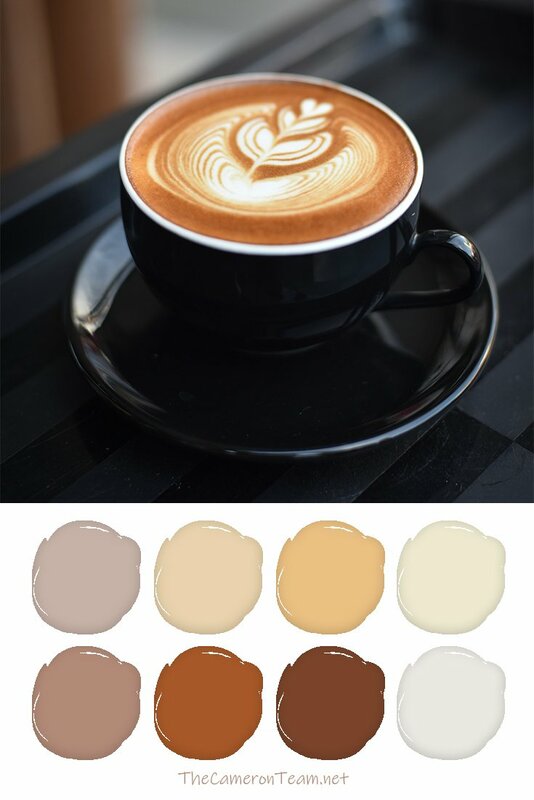 It’s a great way to add interest to a room from the ground up. The best part is, it doesn’t matter if you live in a gorgeous Parisian apartment (#goals, right?) 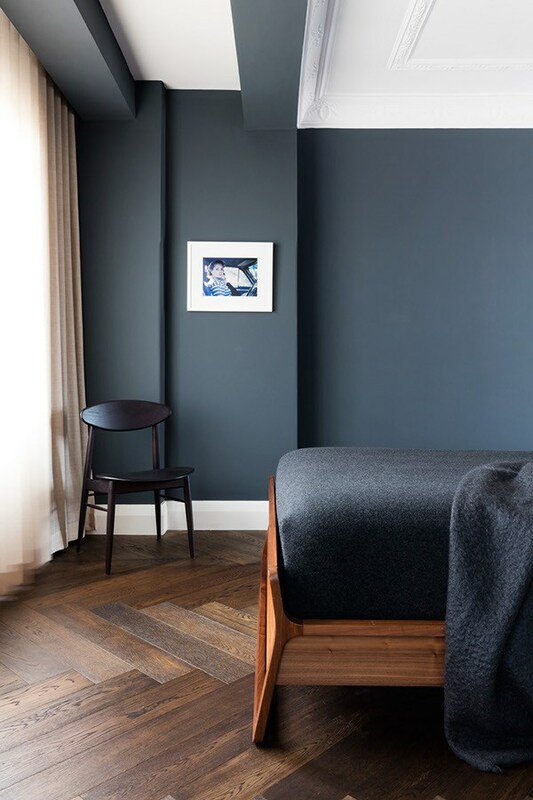 or a simple townhouse in LA, or which room you’ve got your eye on- a herringbone floor will instantly elevate any space. 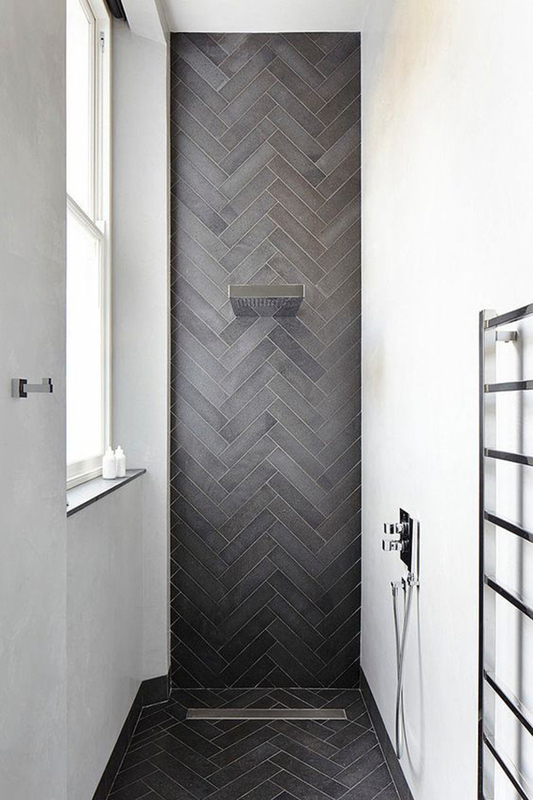 If an entire floor is too much for you, how about bringing herringbone up on to the walls- halfway for a real statement or all the way as a perfectly chic back splash for the bathroom? 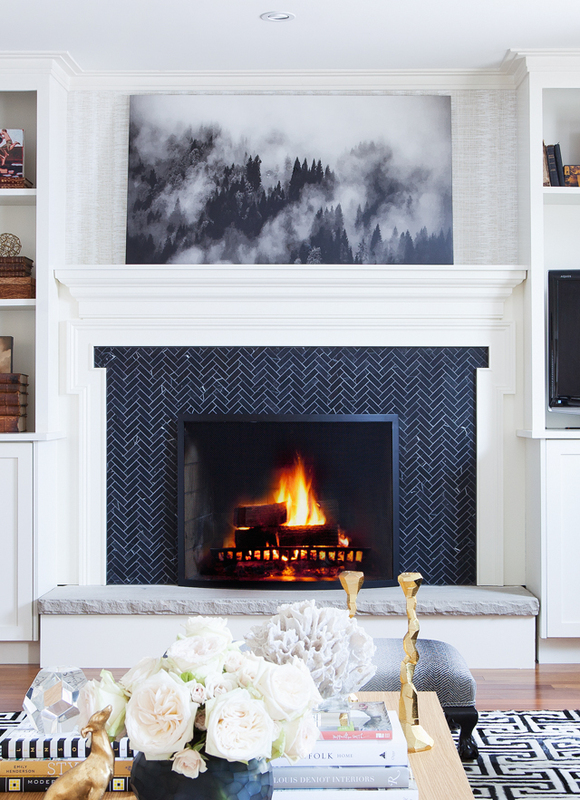 A fireplace surround is also a wonderful way of adding the herringbone pattern to an interior for just the right touch of quiet sophistication. 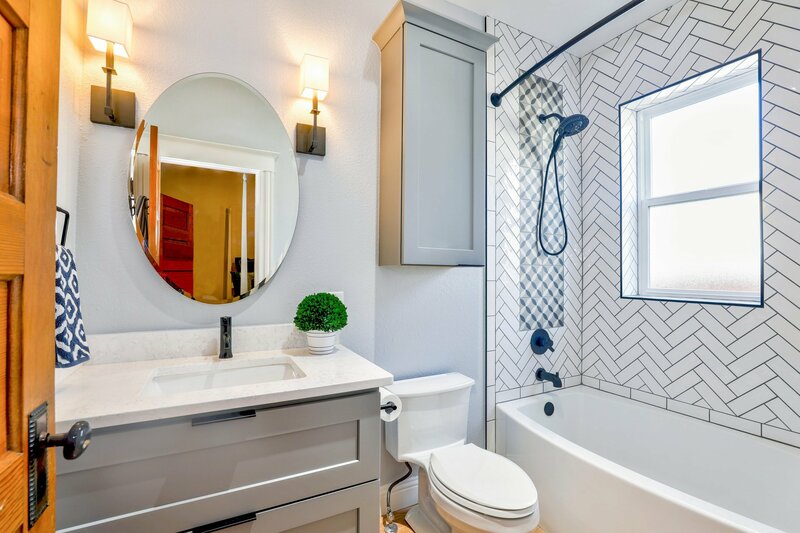 If neither floors nor walls are within budget, think small: home décor and accessories can cost significantly less and can be swapped out seasonally. 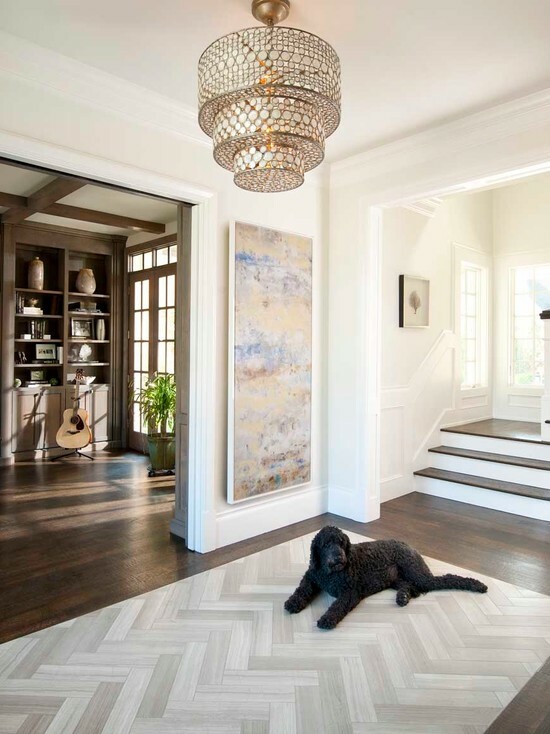 You can even create a faux herringbone “rug” by swapping out tiles for hardwood floor, for example. 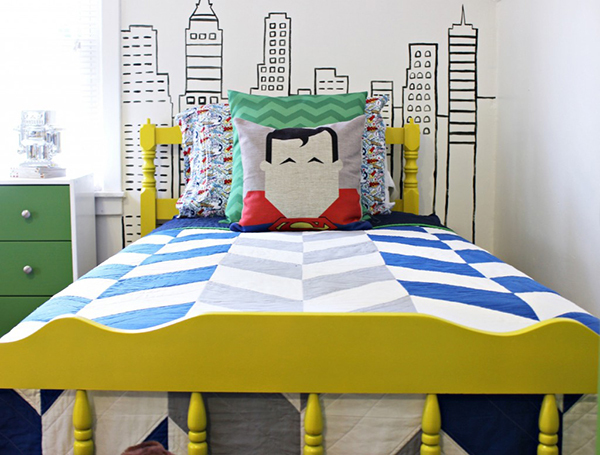 Or how about bringing the herringbone pattern into your kid’s rooms? 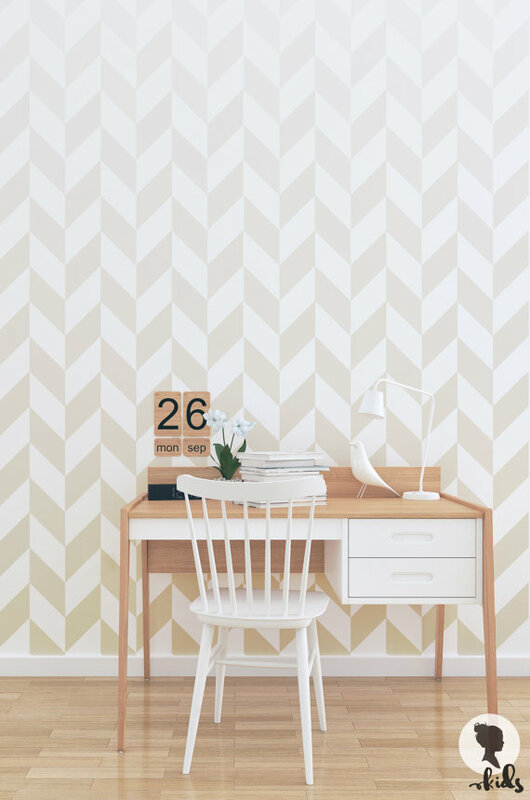 Herringbone quilts are cozy and stylish, and temporary herringbone wallpaper is the perfect low-commitment solution for renters!